The 222 Collection offers rock star style at an affordable price; regular prices range from $14.99 to $69.99. 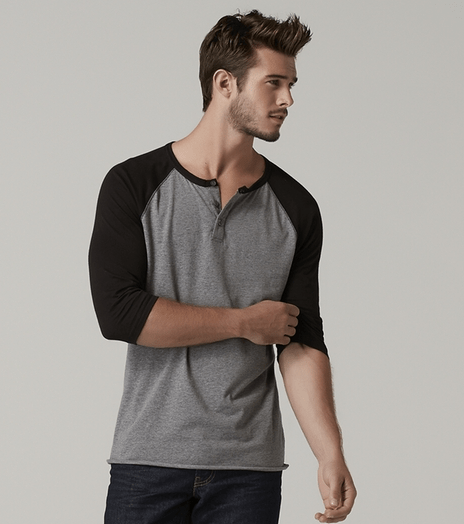 Shop Your Way Members and Kmart customers can cop these classic yet casual looks for the leading men in their lives without breaking the bank. If you know a guy whose style falls flat, point him towards the 222 Collection, available exclusively on ShopYourWay.com and select Kmart stores. Not only will he love the collection’s looks, but he may be so grateful that he shows his thanks by serenading you. Well…..Adam might not be waking up next to you but your newly dressed guy, in Adam’s New 222 Collection, will look just as good. Say goodbye to that wool sweater he loves, but you (not-so-secretly) hope he’ll toss it on his own and those favorite pair of jeans that has holes in unholy places. Rather than having those pieces “magically” vanish in the wash, head over to Adam Levine’s Shop Your Way page together to check out his new menswear line and get your guy a mini-makeover just in time for the holidays! As the front man of the world-famous band Maroon 5, a coach on the Voice, style icon and fashion designer, Adam Levine is a busy man. We wonder if he works in his sleep! He said that designing his new menswear line, the 222 Collection was like “creating my dream closet.” Adam’s collection includes chunky cardigans, plaid button-down shirts, baseball caps, burn-wash tees and dark denim that he’d wear himself. The overall look and feel of the line exudes effortless cool, and we’re confident Adam’s supermodel fiancée approves of every article that’s in it.